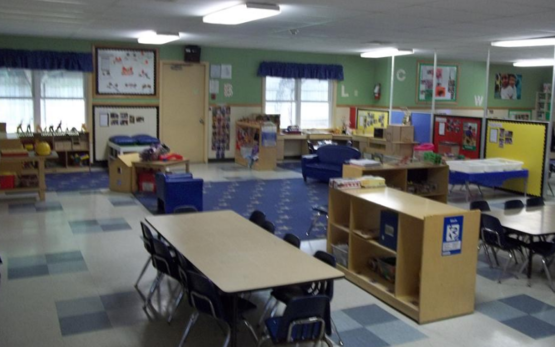 Welcome to our DeCamp Avenue KinderCare Learning Center! We are located just off of Hively Avenue, near Pierre Moran Mall. Walking in our front door you will immediately feel welcomed by our friendly staff and cozy environment. Each of our classrooms are designed to foster your child’s individual growth, including their social and cognitive development. 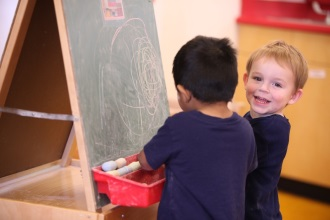 Our most important focus each day is to provide wonderful learning opportunities for your child in a safe and nurturing environment. 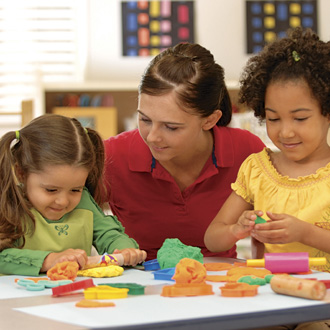 Welcome to KinderCare Learning Center, Elkhart’s premier early learning program. We provide a high quality educational environment to your child through enriched daily activities, safe classroom environments, and quality staff members. As a staff we are dedicated to both the education and the safety of your child. If you at any point have any questions for us, feel free to speak to any staff member. We are privileged and honored that you have chosen our establishment for your child.